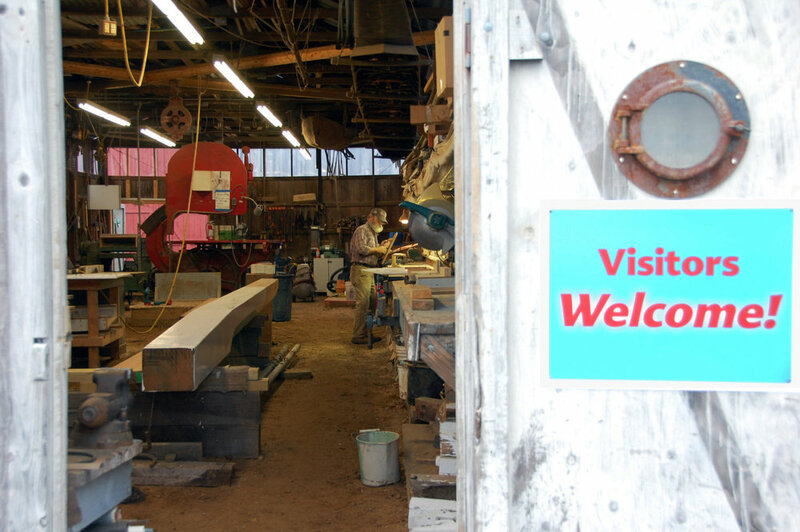 Scenes from our boatshop here at Chesapeake Bay Maritime Museum, where a whole company of skilled shipwrights use traditional techniques to keep our wooden Floating Fleet above the waterline. 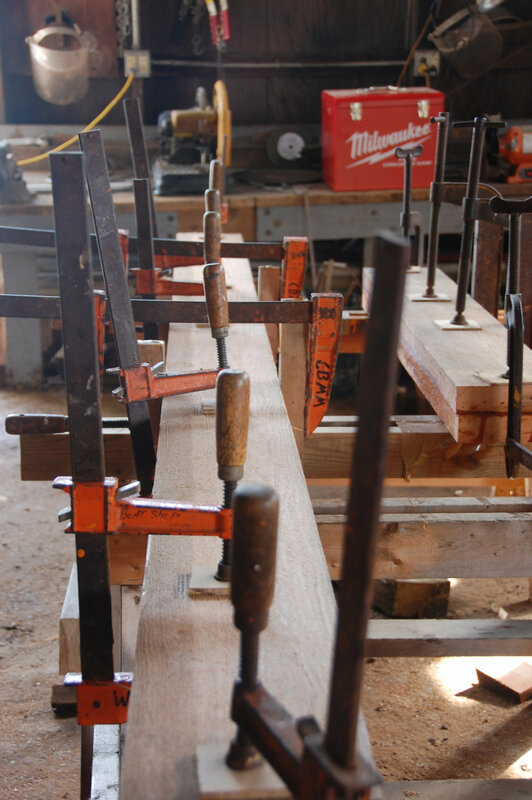 From hewing whole logs for our log-built bugeye, buyboat and log canoes to repairing planks that were made from Eastern Shore pine 100 years ago, the boatshop is a hive of activity. It’s also where cedar shavings form small mountain ranges, full of tools a time-traveler from St Michael’s shipbuilding heyday would find familiar. Sometimes, after the work is done, it’s also a place where you can find a some tunes being scratched out on a guitar and a banjo, dexterous carpenter’s hands coaxing tunes instead of oak. The boatshop is a special place, a Chesapeake place, and overall, a lively place, where traditions live and breathe, coexisting peacefully in our modern world.